Sometimes the view of the wider world from Vermont can be obscured by our colorful maples, majestic green mountains and by the many freedoms we enjoy living here. It can be easy to forget – or seem impossible – that there are countries where clean, running water isn’t the norm, where many girls don’t get the chance to attend school and where most men have more than one wife. As I write, my three children are all in class, the washing machine is on its second load of the day and I am my husband’s only wife. Books like “Tiny Sunbirds, Far Away” and “The Secret Lives of Baba Segi’s Wives” serve to open up the view to the rest of our world, in this case Nigeria, and support readers in understanding more deeply the conflicts, culture and issues others are experiencing. These two books are excellent and engrossing, balanced with humor and delightful characters so they are as enjoyable as they are educational. And, both explore the effects of and fallout from men having multiple wives, but they have their own unique plots and provide great discussions points (even if only in your own head) when read together. 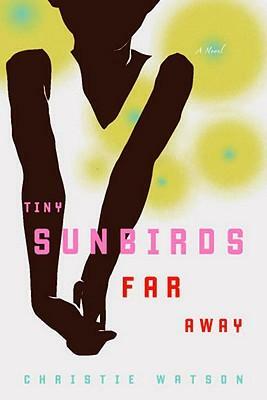 Tiny Sunbirds, Far Away (2011) is a novel set smack dab in the oil-polluted, violent back waters of the Niger River Delta. It examines the complex political and economic problems of this petroleum rich country from the perspective of a twelve-year-old girl named Blessing. The majority of the story takes place in her family compound with no electricity or running water but there are occasional glimpses into the preposterously air-conditioned, manicured, guarded compound nearby that houses foreign oil workers. I became enthralled by the 12-year old narrator’s voice, full of questions about the often perplexing behaviors of those around her: her beloved brother Ezekiel who’s fallen in with a dangerous crowd while trying to navigate the path to adulthood; her mid-wife grandmother a fountain of Nigerian fables and wisdom but also of cultural contradictions; her own mother who is always working, desperate to escape her impoverished surroundings and to educate her children; her Christian-turned-Muslim grandfather who decides it’s time to take a much younger second wife; and this silly, yet endearing, second wife herself, Celestine. This is a special coming of age story. 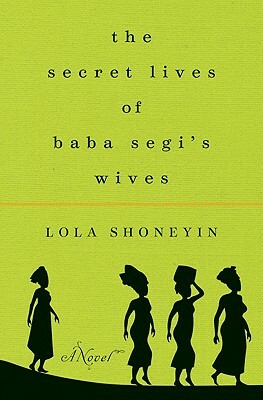 Then there’s The Secret Lives of Baba Segi’s Wives (2010) by Lola Shoneyin. This novel takes a humorous but disturbing look at the practice of polygamy in Nigeria. Though I found “Tiny Sunbirds” to be more poetically written, “Secret Lives” takes a darker look at what can happen when a man has many wives –four in the case of Baba Segi. The real conflict arises when Baba Segi decides to take as a fourth wife a young woman with a college degree. This throws the household into a state of alarm and confusion, threatening the three other uneducated wives. The reader gets a look into the world of Baba Segi and each of his wives, learning their secrets, fears, dreams and often sordid plans.